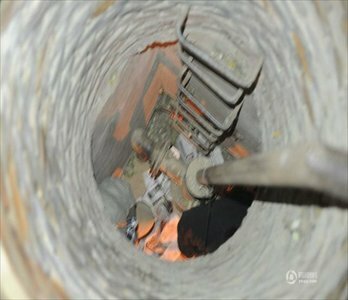 Beijing city authorities have found accommodations for a man who claimed he had lived for nearly 20 years at the bottom of a manhole to save money in order to put his children through school. 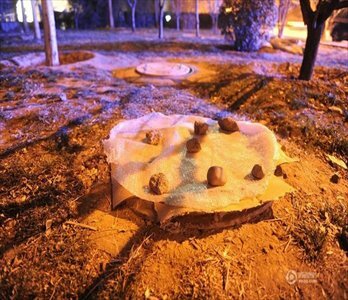 Residents called police after finding the 53-year-old man surnamed Wang living down a utility well in the Lido Garden Community in Chaoyang district on December 4 - a dark and rank space of four square meters to which he sealed the entrance with a piece of cardboard. Wang claimed he had lived in the space for nearly two decades in order to help support his three school-age children back home in north Beijing's Huairou district, 40 kilometers away. "It costs a lot to put three children through school. My wife takes care of the kids at home while I look for odd jobs. It costs at least 300 yuan ($49) to rent a room, so [in order to save money] I've lived in the well for almost 20 years," said Wang. Authorities explain they have arranged temporary accommodations for Wang. "We will contact with his family members and send him to a rescue center if necessary," said a police officer. Utility employees explained that although there are no public heating lines that run through the utility wells, they are still very dangerous. "There is a lot of equipment down there. It's unimaginable what would happen if someone carelessly touched it," said an employee at the Beijing Heating Power Group.